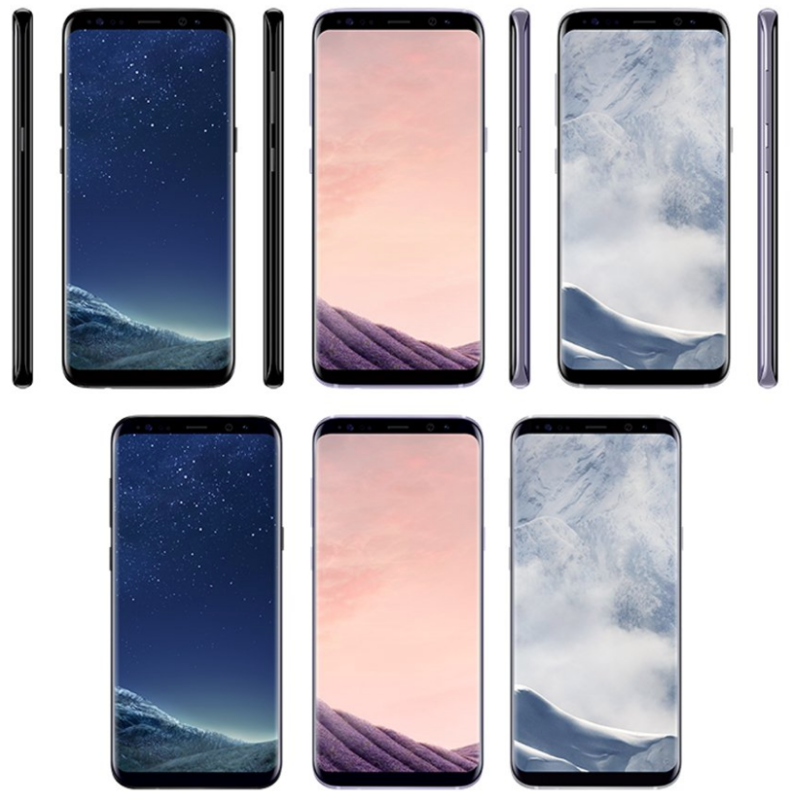 The era of the near bezel-less phone has started, and despite the fact that the Galaxy S8 features a large 5.8-inch display when measured diagonally, you would have a very different impression of the flagship in terms of its size. This is because the 5.8-inch display looks far from enormous, especially when measured against the size of the iPhone 7 and Galaxy S7 edge. 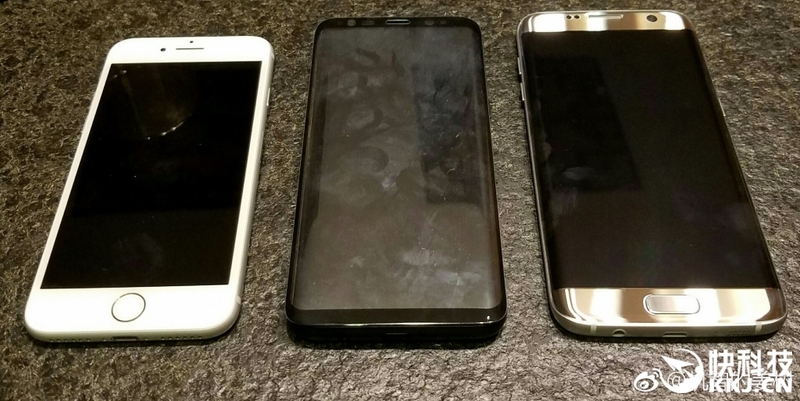 With all three devices pictured next to each other, you can have a vivid idea of how the Galaxy S8 will appear in comparison to other phones. With the physical home button removed from the front as well as having an increased screen-to-body ratio, the Galaxy S8 is actually smaller than the Galaxy S7 edge despite having a screen size that is 0.3 inches bigger when measured diagonally. Similarly, even the LG G6 is smaller in size as opposed to its predecessor, the G5, despite the latter having a display that’s 0.4 inches less than its successor. 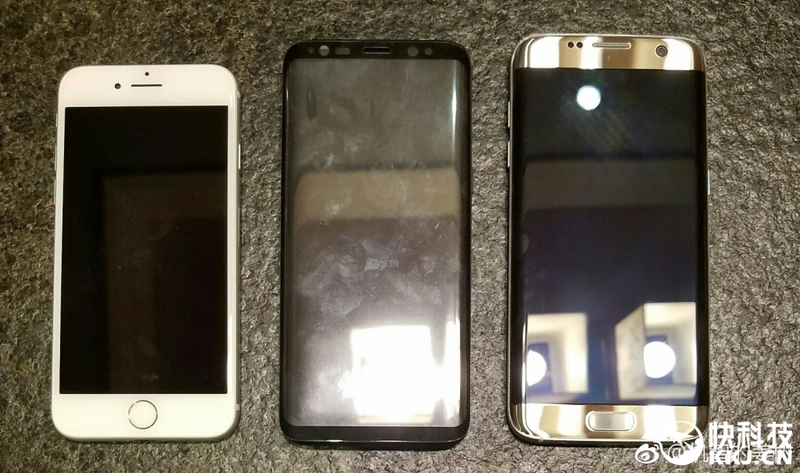 As you can see in the image courtesy of MyDrivers, the iPhone 7 is clearly the smallest out of the bunch and that was bound to happen. Even with the increased bezels, the 4.7-inch handset is no match for the two devices in sheer size. However, what will be really interesting to see is how all three devices perform in real-world and synthetic benchmarking tests. The Galaxy S8 will either be armed with a Snapdragon 835 or Exynos 8895 and to have a chipset that is manufactured on the 10nm FinFET architecture brings several key advantages to the table. The Exynos 8895 has a heterogeneous system architecture, where all cores can ramp up in order to deliver the best level of performance when needed, turning the Galaxy S8 into a supercharged mobile computing powerhouse. Both the Galaxy S8 and Galaxy S8 Plus will be unveiled later this month and after that, we can see how well these devices perform against one another.